Of all the chores, lawn mowing might be the most tedious on a lot of people’s lists. Luckily, the grass-cutting world has progressed far beyond the handheld machines of yore. 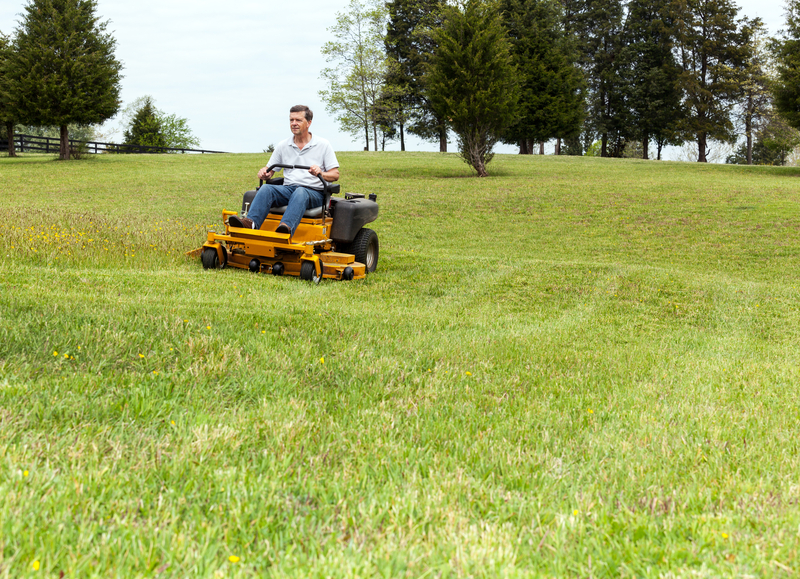 Today, zero-turn riding mowers afford property owners a slew of benefits as well as a more fun experience overall. The following guide explores the wonders of this lawn maintenance marvel. What Is a Zero-Turn Riding Mower? While standard riding lawn mowers feature front-wheel steering, the unique zero-turn model is designed to pivot on its back wheels. This engineering difference is what facilitates its ability to turn on a dime, meaning no grass is missed as the lawn mower rotates. Instead of a steering wheel, zero-turn riding mowers feature two levers and two motors. Each member of these pairs is connected to a rear wheel, allowing drivers to move forward, curve right or left, and reverse. To rotate in a full circle or perform a “swinging turn,” you push one lever forward and leave the other in place, commanding the mower to turn completely around one stationary wheel. Zero-turn riding mowers can be used for both commercial and industrial needs as well as large residential lawns and yards. One of the leading benefits of these vehicles is shorter mowing times. They provide maximum maneuverability, allowing drivers to turn each wheel independently to avoid wide turns. This means there are no gaps of uncut grass left by awkward rotations, and it’s easy to move around obstacles like sheds, flower beds, and fountains. You can also get closer to the edges of no-cut zones such as vegetable gardens, so you’ll have fewer touchups to do with a handheld tool later. Many users, though, will sum all these benefits up by simply mentioning that they’re back in the cool house watching the big game much earlier than they were with their old mower. If you’re eager to start using a zero-turn riding mower, turn to Stanly Tractor Company of New London, NC. For over half a century, this power equipment dealer has offered everything from saws to tractors. Whether you’re looking for gear for your farm or a big backyard, you can find it all at this one-stop shop. For more information on their inventory and services, visit the website or call (704) 983-1106 today.